White Rhône wines exist outside our expectations. 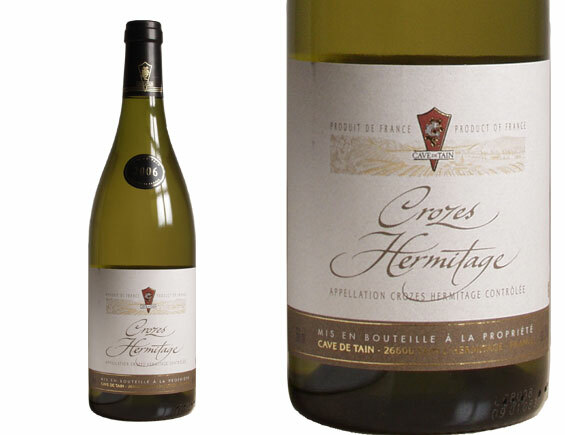 There are no Rhône white grapes on the list of top-selling wine varietals. The only one most people have heard of -- Viognier -- is barely grown outside of Condrieu, which makes wines too expensive for most people to try. One of my greatest wine regrets is that I once ate dinner alone in Condrieu but was too cheap to drink Condrieu because the only bottles on the list were over 200 Euros. I had white Saint-Joseph instead, and was too shy to ask what grapes were in it. French people don't understand why this is a problem. But Americans relate to wine through grapes, not regions. A New York Times article about Saint-Joseph, a Rhône appellation, opens by saying people confuse the region with Bordeaux or expect its wines to be sparkling, and this article is not from America's wine-ignorant era: it's from 2013. French white grapes have conquered the world. Every major wine country grows Chardonnay and Sauvignon Blanc and Pinot Gris. But while the Rhône red grape Syrah is also ubiquitous, Rhône white grapes are minor everywhere, and thus there's still some mystery about wines from one of the best-known wine regions in the world. Recently a PR firm offered me the chance to sample some white Rhône wines with the hope that I would write a post about them. The idea is that white Rhônes are good white wines for winter, perhaps because of their tendency to taste more like pears and apples than peaches or lemons. In the wine-blogging world, this kind of PR outreach is common. I only accept wines I'm interested in, but most of the time I still don't really have enough to write a story. I love Oregon Pinot Noir, for example, but I couldn't find anything new to say even after getting a box of them, and I still feel guilty about it. I wouldn't be writing this either, except that of the four white Rhône wines I got, three were terrific, delicious, interesting wines I couldn't get enough of -- and the average price of these three wines was under $20. Moreover, because I tried them in December, I opened them as alternatives to trophy wines, which I drank all month, and in all three cases I ended up liking the white Rhône wine better. That's as high praise as I can give. So here are three affordable white Rhône wines I highly recommend. My own personal ratings were 92 points for each, and maybe that wasn't generous enough. I really enjoyed this post. Many years ago we started a visit to France in the southern Rhone, and up to that point I had a very low opinion of southern Rhone whites. That changed after the first couple of days. Later we spent a week in the northern Rhone, and while I knew all about northern Rhone whites, I hadn't tried many. Again, they were generally outstanding. We'll be staying near Valreas this May, so I'll have to check out Bellane. Another northern Rhone white I recently had was Domaine Bonnefond 2015 IGP Cote Rhodianne [sp?] Viognier. Their Condrieu was a bit beyond my budget, but this was outstanding. Cave de Tain Crozes-Hermitage is a solid winery. I stopped through there in April of last year and picked up a Cornas I wish I'd bought a case of. Extremely well-priced and well-made. Their Saint Joseph was the only one I wasn't thrilled about, but overall, solid line. Grenache a Rhône grape? More well-known because of France, but let the Spaniards have at least that one. Thankfully it's gotten a great deal more interesting in its homeland in recent years. Miquel: You're right about Garnacha, of course. I edited the post. Sorry, wasn't meaning to be a smartass. Am just passionate about what Spain is producing from the grape these days and I think they've a lot more to do with it yet to come. As a recent recipient of the Master Rhone Diploma from Universite du Vin in Suze-la-Rousse and a member of the charter class of Rhone Accredited Wine Educators, I'm gratified to see you extolling the quality and value of Rhone whites. Last October I had the good fortune to dine with the export manager of Cave de Tain, David Quillin, who poured several of their wines, and I couldn't agree more with your assessment of this exceptional coop.